Harris Ranch Inn & Restaurant in Central Valley is a perfect beefy roadside attraction for barbecue enthusiasts. 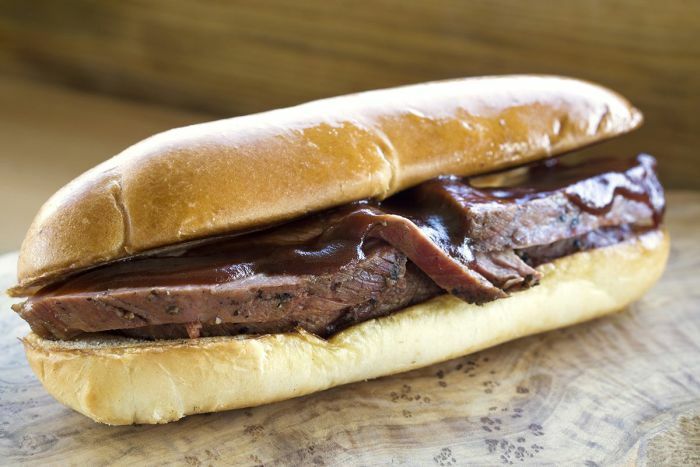 Now, the eatery has debuted its Express BBQ for travelers to give rest to their hunger pangs when they’re on the road. It is located just off Interstate 5 at Highway 198 and a popular rest stop between Sacramento and Los Angeles. The building comprises 153-room inn and restaurant complex to offer best services to the visitors and also provide them with delicious delicacies. 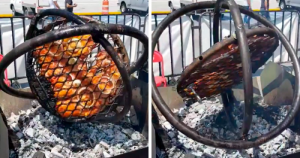 Just next to the Shell gas station, the restaurant has now launched the new barbecue stand that will be open from 10 a.m. to 8 p.m. daily. The barbecue stand has been custom-built by Johnson Smokers of Texas for $12,000. 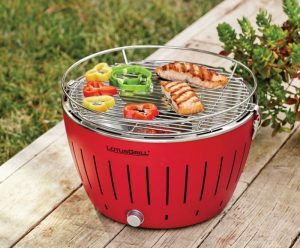 The combination grill-smoker features 83-square-feet of cooking surface. 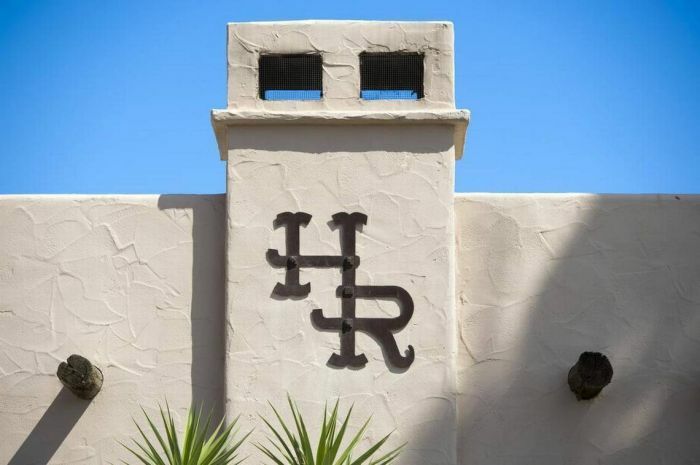 According to the restaurant staff, Harris Ranch chefs use California live oak wood in the smoker to fire up the grill with all-natural mesquite charcoal. 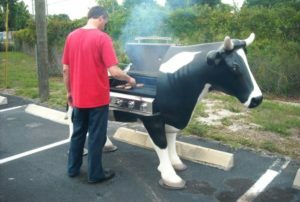 At the roadside eatery, they will be serving beef brisket, smoked tri-tip, and ribs (beef or baby back pork). Sound delicious, right? 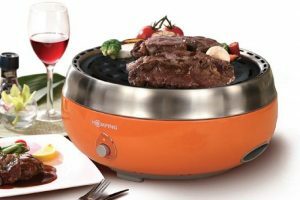 But that’s not all, the menu also includes more mouthwatering recipes such as chipotle-dusted boneless chicken, Italian sausage, grilled hot dogs, carved meat sandwiches and Cobb salad topped with tri-tip burnt ends. 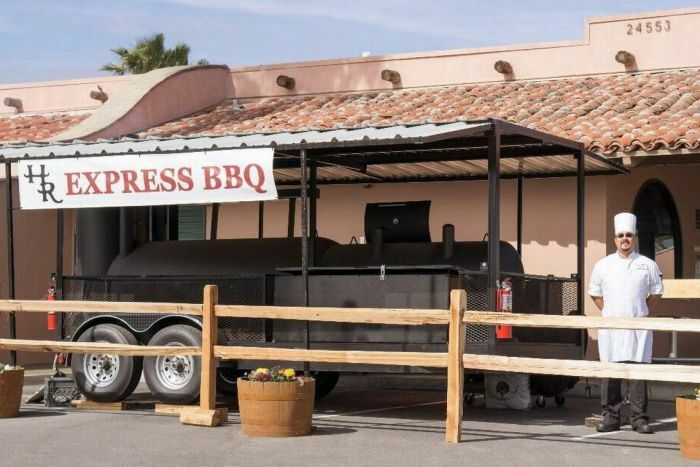 Furthermore, Cowboy beans, cornbread, mac and cheese, chuckwagon soup and other Harris Ranch side dishes from its main kitchen will also be offered by the Express BBQ. To enjoy your meal you may head to a nearby outdoor seating. For those who are unaware, Harris Ranch is California’s top beef producer with about 18,000 agricultural acres growing 30 crops. Their steaks, tri-tips and other delicacies are also offered at its Coalinga restaurants, which is known to serve about 1,500 entrees per day. However, during weekends and peak travel periods, you need to wait longer at the inn’s three restaurants – although they try their best to serve hungry travelers as quickly as possible. 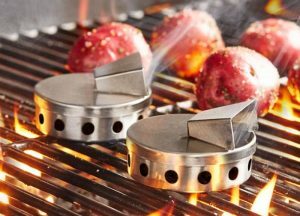 Now, the new BBQ stand is all set to offer more delicious recipes to travelers. Do stop by at Express BBQ whenever you’re on that route. You’ll not be disappointed.